Most of the machines we feature on Bike EXIF are one-offs, or limited editions, or customized in some way. But if I was planning a long, leisurely trip cross-country, I’d be looking for a classy, relaxed tourer. And with a pair of authentic Krauser panniers installed, this immaculately preserved BMW airhead would fit the bill perfectly. 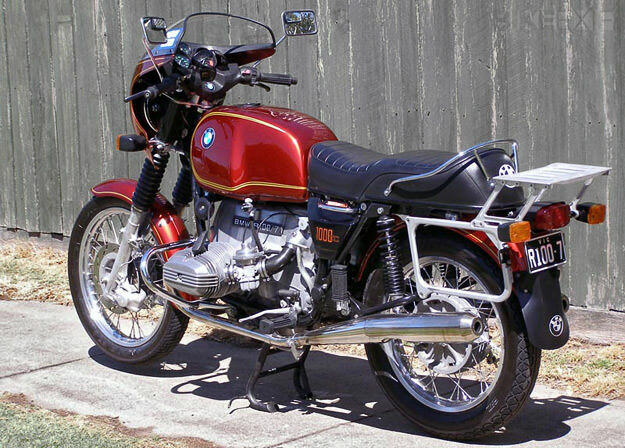 During its four-year production run—from 1976 to 1980—the BMW R100/7 was probably the most desirable bike in the world. Just 12,000 rolled off the production line, and they were regarded as the Rolls Royce of motorcycling. This pristine example is owned by Neil Rote, a vintage guitar and amplifier dealer who lives in a small town in rural Australia, some 250km from Melbourne. Neil has great taste in bikes as well as Gibsons and Fenders: his garage also includes a 1970 Norton 750 Commando Fastback (with Dunstall upgrades), a 1973 Laverda 750 SF1, a 1983 Moto Guzzi 1000SP and a 1960 BMW R60 sidecar rig.